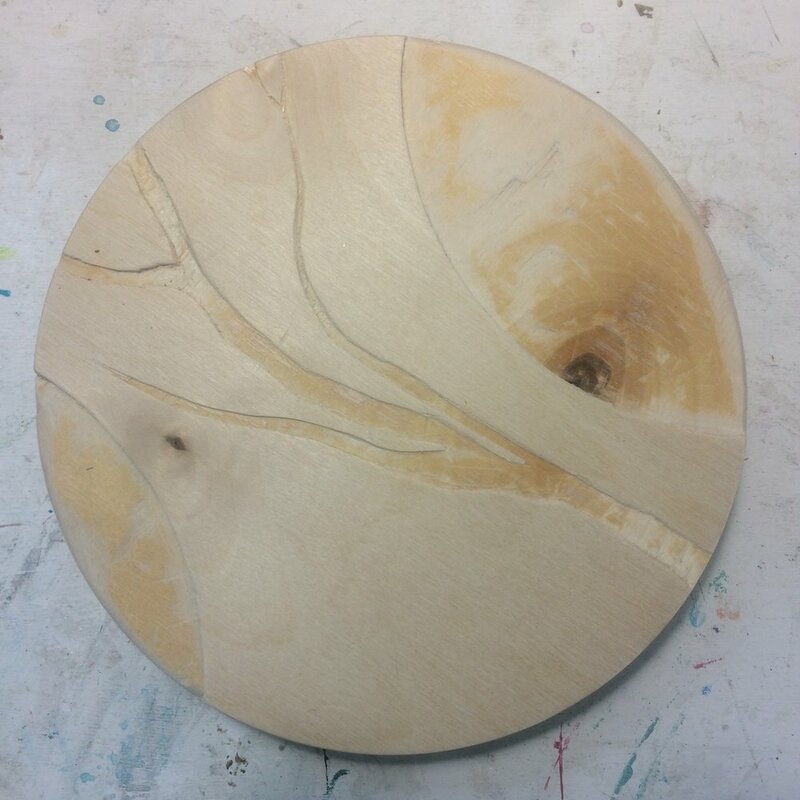 (A) Start, Carved branch and circle shapes. (A) Iridescent medium and dirty paint water sludge. 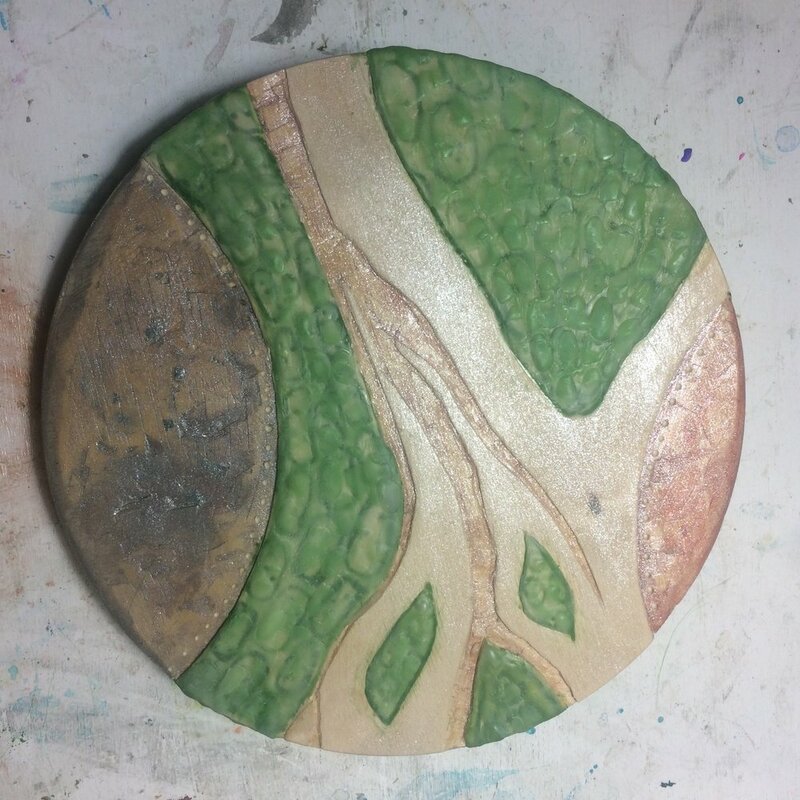 (K) Layers of textured green wax, woodburning tool. (A) Acrylic, filled vein with purple glitter. 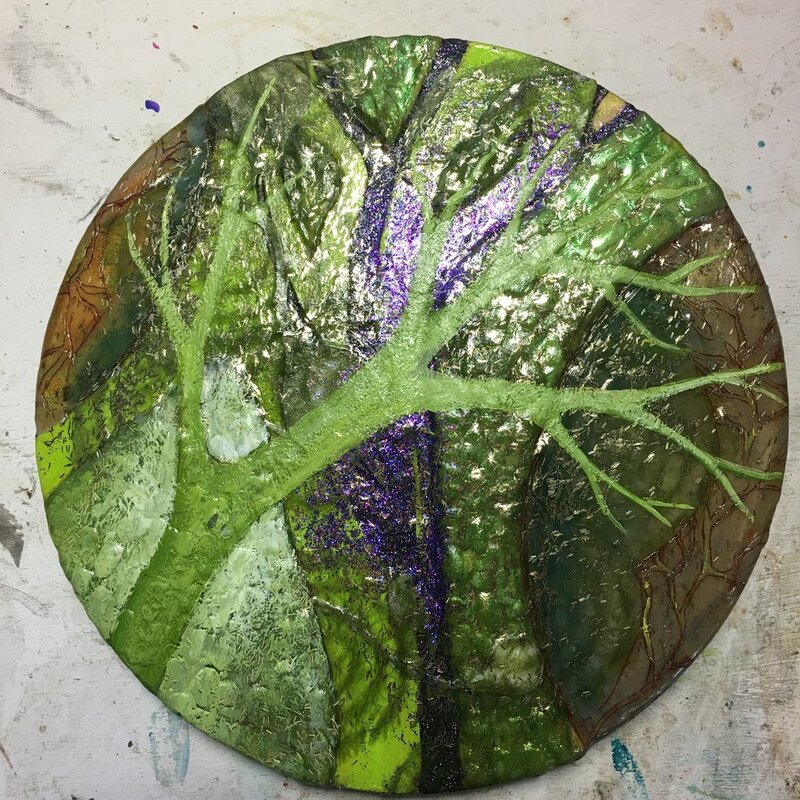 Detail of wax and glitter layers. (K) Collaged paper plant elements. (A) Rice paper swirls, glitter, acrylic. 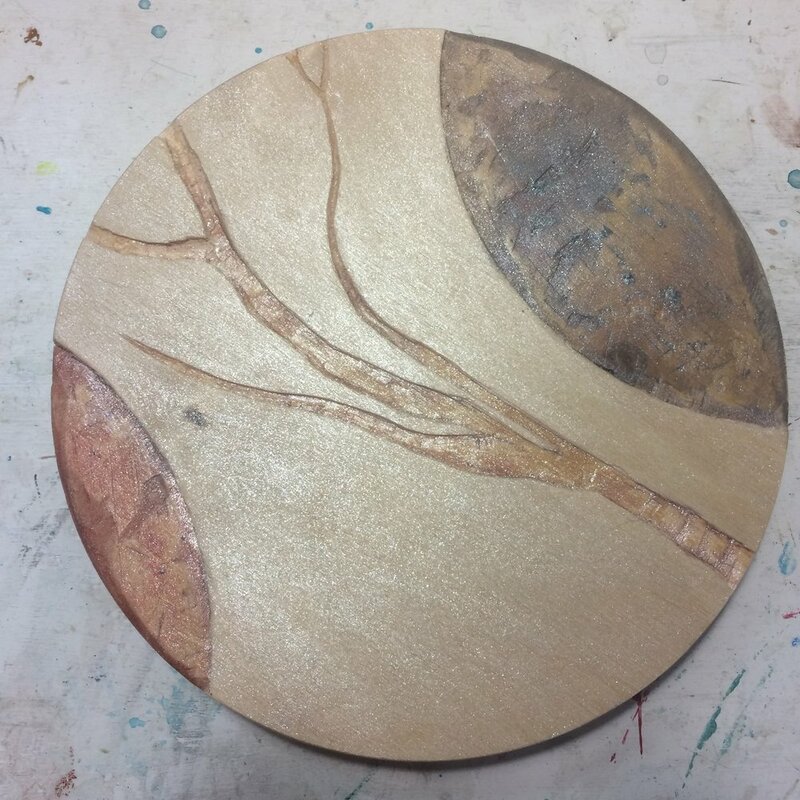 (K) Waxed circles, incised branch shapes, added pigment. (A) Glitter, acrylic branch, gel medium.